Hope you are well and enjoying the lighter evenings....and of course the snow!! When I took over as Club Chair I tried to encourage CS teams to participate in events further afield from home. In 2013 I took my own 2001 boys to the Gothia Cup and we returned two years later with 3 year groups. I genuinely believe players develop personally and bond more as a team as a result of these experiences. This week I have been catching up on Twitter (@CurrieStarFC) and note a large number of Scottish teams departing for foreign shores, mainly Barcelona and Amsterdam, to participate in such tournaments. At our recent Club bi-annual meeting I asked which years would be travelling away for such events. Our 2001 Colts are going down to Manchester this Easter and only one other year tentatively stated they may attend Gothia next year. I have to say, I find this disappointing for a Club as big as ours. And the responsibility does not lie solely with the Coaches. Parents have an equal responsibility to get involved fundraising and organising such trips for their boys. I can only promote what I believe (and this would be evidenced by my own boys who have been away three times) to be a fantastic life learning experience. 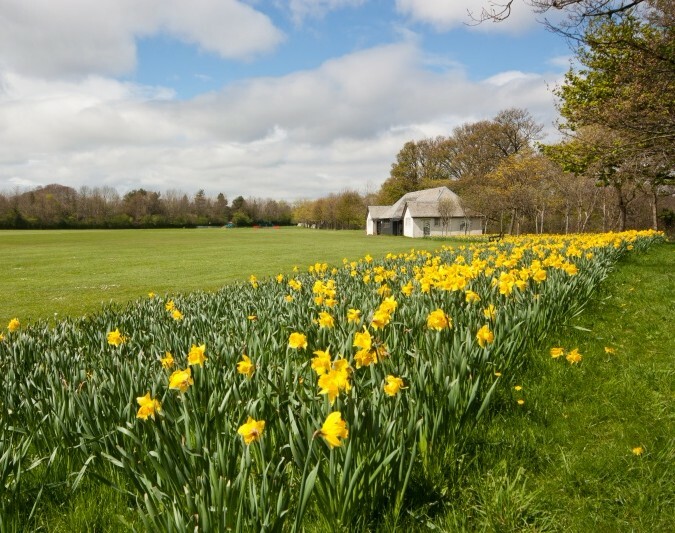 When boys get older and look back on their days at CS their memories won’t be featuring East Lothian on a wet, windy, cold morning. It will be the big moments, such as Gothia or seeing an English Premiership match. 2006 are heading down to Manchester in April to watch the derby and play against local teams. Those boys won’t forget that for the rest of their lives. Please all get involved and provide memories for your boys. You make the dreams happen! On a football front, I am glad to say we have 3 cup finals to look forward to. 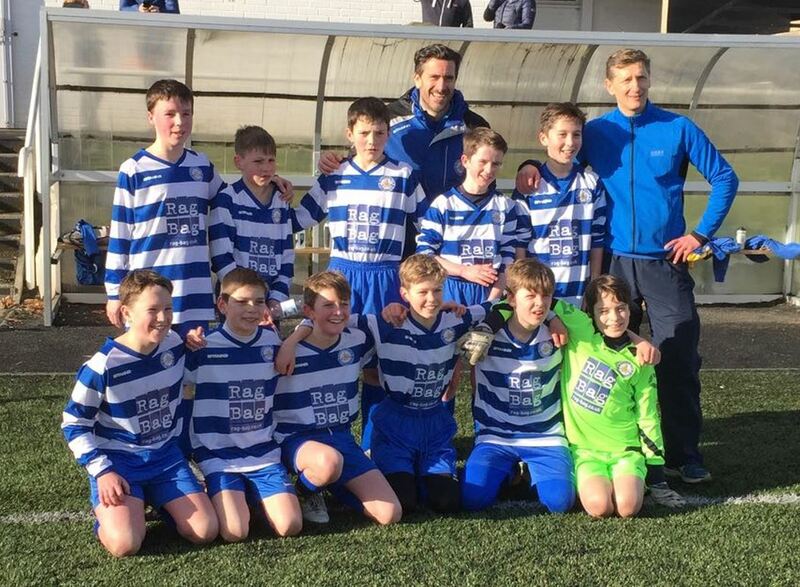 2004 boys have a final at Paties Road on Friday 13 April, 6.45pm k/o (please come and support). 2004 Colts and then the 2001 Colts in the league cup finals (dates and times TBC). I have lots of other updates but Mr Editor keeps telling me off for writing too much! That's what happens when you are passionate about your Club and your football ... hopefully ALL our boys will continue to have such passion to play this wonderful game and be part of a great football Club. All the best to our finalists. Enjoy the game and the experience. Currie Star FC in partnership with Edinburgh Cricket Club have been granted Stage 1 approval to lease Campbell Park. There is a lot of work still to be done in preparation for Stage 2 application. The committee would be very keen to hear from parents with skills in ground engineering, landscaping, architecture, surveying, building, conveyancing, fundraising or anything else remotely relevant. Please email Ken Stewart here. The 2010's are now over a year into their footballing career with Currie Star. Royal High School provided the venue for the Fun Fours Festival, in what proved to be an extremely enjoyable year. From a coach/parent perspective it was great to see the boys enjoy themselves in a competitive, yet friendly, environment. With the help of Dave and his team at Play2Learn the boys have made huge strides and I can say with confidence that they have developed into one of the best clubs in their age group. The large waiting list to join the year is testament to this. The boys have also taken part in the Ken Ritchie Festival at Musselburgh and, closer to home, the Currie Cup at Dovecot Park, acquitting themselves well at both. This season saw Bruce Hydes step down as Head Coach, with Paul Muir stepping into the breech. I’m confident that had it not been for the hard work of Bruce the year group would not be in the healthy position that is and I thank him for all his efforts over the first year. The boys have now made the transition to five-a-side and once again the focus for all the coaches will be to ensure that the they continue to develop and most importantly of all, enjoy their football. We have recently received our new strips courtesy of our new sponsor, Morningside Shower Services. I would like to thank Brian and Paul for their generosity. Here's to another successful year! P2L Update: 2010s have recently started playing 5-a-side and are progressing well! Also, well done to parent coaches who have started to lead a few sessions under P2L mentoring. This age group will become the oldest group within the P2L and CS partnership. Training will resume on 16th April 19:00 – 20:00 @ Kingsknowe. Since March we've started to play 7 a side however due to the weather, as for all other teams, games have been scarce however the boys have taken to the 7s fantastically and look like they've been doing it for years. Now boasting 44 players, we have a great split across all 4 teams and can see the kids improving week on week. As stepping up to 7s, we now bid farewell to Play2Learn, which is sad but good in a way as they have been immense in preparing the coaches for this moment for the last 6 months. Some of the players have been with Play2Learn since they were 3 years old, so it will be new for them which I'm sure they'll embrace. Personally, and from the kids and fellow Coaches, I'd like to thank Shaneo, Dave and the gang for the wisdom and expertise in youth coaching. CS are lucky to have such a good working partnership with them. P2L Update: an exciting time as 2009s step away from P2L and go it alone under an excellent team of parent coaches. The parent coaches have been leading and planning sessions for the past year with support, help and mentoring from Dave, Matthew & Jack. Many of the players have been with P2L since the age of 3. At times it has been challenging but always enjoyable. We wish all players and coaches every success in their future CS experience. 2008 U10's - can you do the floss? It has been another period of fun and development for the 2008s. There have been a few changes at training – Graeme Colmer, the Hearts Community Club Development Officer, is leading our Wednesday nights for a few weeks, and the boys now take it in turns to lead the warm up on a Monday night. This has taught me three things. 1) crazes spread very quickly, 2) there is a new dance called the floss, 3) I can’t do the floss. The floss is very amusing, and fits the wonderful/weird personality of our boys. Asked to name the new teams this season we have ended up with Currie Starvin (or vindaloo), Currie Star Fish, Currie Star Burst, and (not really following the theme) Currie Star Sharks. We are continuing to look at how we can improve what we do for the kids, and learning from Hearts we have developed a survey for the boys to find out more about what they enjoy and how they would most like us to run the training and matches. We are looking to set up a training sessions for all the coaches at Currie Star to look at growth mindset language, and Hearts have offered the home team dressing room for this. 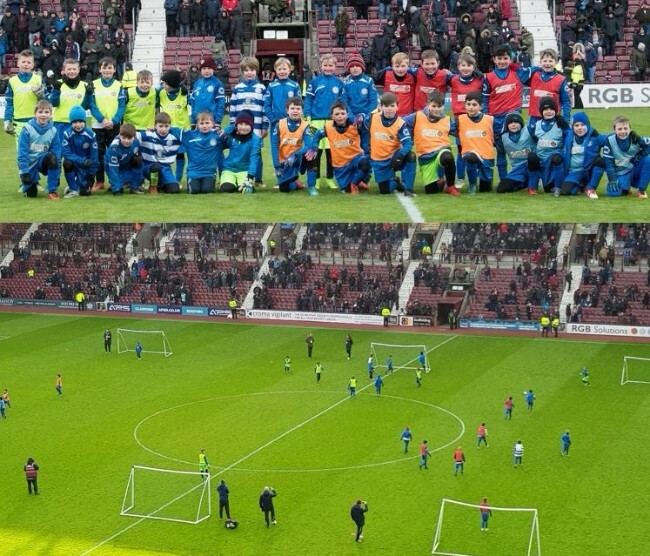 A few weeks ago the 2008 boys had a great day at Half Time Heroes despite the cold, and proved to be a lucky charm for Hearts who managed to score 3 goals! As one boy told his dad ‘I’ve done something you’ve never done, I’ve scored a goal at Tynecastle’. He could have said that to most of the Hearts players this season too! We now have 4 teams and new children starting every week. We are learning that it's not easy but enjoying the challenges in our new levels. We are on the lookout for goalkeepers and Coaches if you know of anyone looking for a team. We're still going strong with the fitness training as an extra session the boys that attend love it! So after a really good Christmas break we got back into our training routine. We played a few 7 a side games before the SYFA introduced 9 a side as a stepping stone to 11’s. We have 2 Pele teams, 1 Maradona, 2 zidane and 1 Beckham. So far the boys have adapted really well to the bigger space and are really enjoying it. We have welcomed some more players to our year group namely Bishr Mohammed, Shane Majekodunmi, Luke Westmoreland, and Jamie McAdams. We have planned a trip down to Manchester to go to the Man City v Man Utd game. More to follow in the next issue! The boys have completed 6 league games since the start of the year. 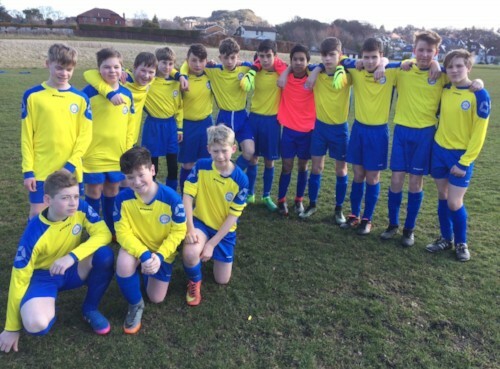 The team have played some lovely football and went on an unbeaten run of four matches during February and March which saw us climb up the league. The highlight was an outstanding 4-3 win away despite no subs to Gala Fairydean (see picture) who had only lost 2 matches prior. The boys are looking forward to the restart of Thursday/Sunday games after Easter as the league fixture backlog is cleared. We continue to turn losses into wins after a slow season's start. Placed 8th now but we've only lost one league match since November and that was against our 2004 stablemates who are in 2nd just a point behind Eyemouth. We'll meet Gullane in the Kilvin Cup final and will be playing two games a week after Easter. Our aims? Find a goalkeeper, keep moving up the league table to 3rd. And if we beat Eyemouth on the way, we'll be helping the other 2004 CS win the league! We currently sit in second place in Division 4, one point behind Eyemouth United with a game in hand, having now played 14, won 12, drawn 1 and lost 1. We beat Edinburgh United in the semi final of the Ian Mackay Cup and look forward to meeting Craigroyston in the final. We also look forward to facing a busy Spring and early Summer due to many fixtures lost to the snow! Finally, we welcome Patryk Pieszczynski to the squad. Since we welcomed Coach Davie Gardiner in October, 3 coaches is much easier to manage the squad with Coaches Clapperton, Dracup and now Gardiner. Davie loves coaching the boys, getting to know their characters and the way things are at Curie Star! Davie not only brought his 11s experience to training but he brings JELLY Babies! The boys are getting used to his new drills and humour. We’ve competed well so far with only 6 games remaining 3 cups and 3 league. At the end of 2017 the boys had a good run of matches and took points from teams above them in the league. In 2018, plagued with injuries and sickness, we’ve not had all the boys fit or available which has effected fitness and confidence resulting in recent loses. We’re sitting 5th in the league, however with 3 wins and 9 points we could qualify for the semi finals as runners up in the league. So there is all to play for. 2003s are holding trials and planning the squad for next season when we move to U16s, ideally the squad will start with 18 boys. We welcome Ollie Magowan who has transferred after 5 years from Oxgangs AC. We’re planning to have an end of season event in May/June which wiol make good use of the £400 hot drinks fundraising pot. Both squads have been playing league cup games since the turn of the year - the cup is in 'champions league' group format with games being played home and away. Teams have lost players to long term injuries and we wish Ryan Ness and Andrew Inglis speedy recoveries. Whilst being snowed off the boys have had a few sessions at Clovenstone Boxing Gym to keep their fitness up - it looked hard work! The boys are soon to sit their Nat 5 exams - we wish them all good luck. We’ve just reached Division 2 League Cup final defeating Cramond 3-2 at Malleny in a nervy semi-final. The boys had taken a 3 goal first half lead but failed to kill the game and the opposition came back towards the end of the game but they hung on and deserve their day at the Final in May. Their form in the League has been better in recent weeks but the 4 game spell either side of Christmas where we lost 4 in a row has put paid to any chances of challenging for the title - very frustrating as these were games which we could have won but that’s life. We currently sit 3rd in the table but some teams have games in hand so all we can do is win our last 3 remaining League games and see where that leaves us as our final position. We’re off to Manchester this Easter to take part in the New Balance Easter Cup and we’re one of 6 under 17 teams taking part. We’re really looking forward to playing new teams and gauging how we match up to their standard – we’re watching the weather forecast closely. The final is on Easter Sunday with the top 2 teams in the group competing for the trophy. I hope we can do ourselves proud and be competing till the end but if not I’m sure we will have a great time. Having been to Sweden and Italy with the team before, these trips are always fantastic bonding sessions for the boys and coaches and if you can I would highly recommend that you experience at least one with your teams. They do take a lot of time and effort to organise but the joy and benefits are the rewards for that - why not get a few willing parents together and see what they can do. We shall update everyone on our progress at Manchester and in the final in the next edition of the Newsletter. Wish us luck! The boys have competed well in their first season in the top division. We currently sit mid table and will hopefully end around there. Despite this now being the end of March we have actually on played EIGHT league games due to the fact there were 7 cups to play for. We progressed to two semi finals but unfortunately just fell short against teams higher up the league. The most important thing is the boys have certainly developed, playing at a faster tempo and more a more physical style of play. Well done boys. Monday sessions at GWC have been a little disrupted due to the ‘beast from the east’ but fingers crossed the snow is away for a while. The 2011s are making the exciting step from Saturday morning to Monday evening. This age group will soon receive their first blue and white strips and represent CS at the FUN 4s Festivals. Thanks to a large group of parents who have stepped forward to help with the running of this age group. Training will start on 16th April 18:00 – 19:00 @ Kingsknowe. P2L are also looking forward to the new term starting for 2012/13/14s on 21st April @ Kingsknowe. These groups are split into 3 relevant age groups and all work on different aspects of the game using different techniques and ideas. To get involved please contact Shane here. Our new website is soon to launch with new features including Testimonials from Celtic Captain Scott Brown and the one and only John Brock. We also have camps coming up during the holidays! Click here to view dates and venues. All CS players are entitled to 20% off. Now that the golf season has started, this is a great time to join Kingsknowe Golf Club……and for April we have a Special Offer where 3 new members can join for the price of 2, or 4 new members can join for the price of 3 for their first year. Prices and a membership form are available from here. If you are wanting more information should email Colin Pearson at clubmanager@kingsknowe.com. Thanks to Heriot Watt University who continue to support the club. who make it all possible through their support and hard work. Copyright © 2017 Currie Star F.C., All rights reserved. You can unsubscribe from this list here - please state the relevant year group and team.